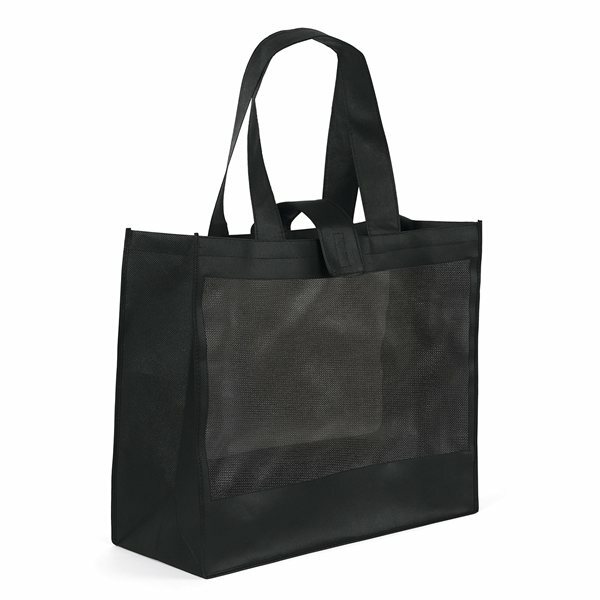 100 GSM premium non-woven polypropylene featuring front and back mesh panels, 2" wide by 26" long handles, and wide Velcro® strap closure. Your choice of imprint on mesh, gusset, or lower panel. Great product. No other vendor could beat your prices! Rosa makes me feel like his entire goal in life is to keep her customers happy. Everyone loved these. Thanks! Our customers bring them home and we have no complaints as our restaurant name is there to remind them always.